Welcome cats and kittens, to yet another installment of the only blog that shows up less often than your dad to your Little League games, Cewsh Reviews! We have a special treat for you tonight as we hop in the car, adjust the rear view mirror, put some fuzzy dice on the dash, and get ready for the road to Wrestlemania. 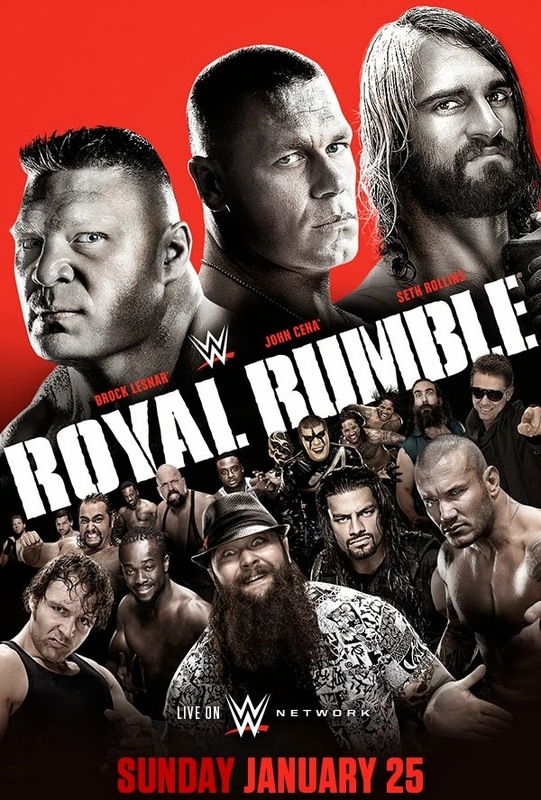 The official beginning of that grand adventure starts right here, with the first WWE PPV of the year, WWE Royal Rumble 2015. With a spot in the main event of Wrestlemania on the line in both the Rumble match itself, and in one of the most looked forward to triple threat matches in recent memory this show is full of intrigue, potential, and even a little dash of hope. Smarks the world over are scooching closer to the screen to watch it clutching their Daniel Bryan action figures and daring to dream that this could be the day. But with the specter of Roman Reigns looming, and a card that focuses unusually on big stars, that hopeful dream seems a mile away. Can Daniel Bryan overcome the odds to become regain his spot atop WWE? Will a new star emerge amid the whirling chaos of the Rumble? Can anyone on Earth actually defeat Brock Lesnar? Join Cewsh, Artie, Psycho and our Royal Rumble professor MichaelC as we explore the only way to find out.